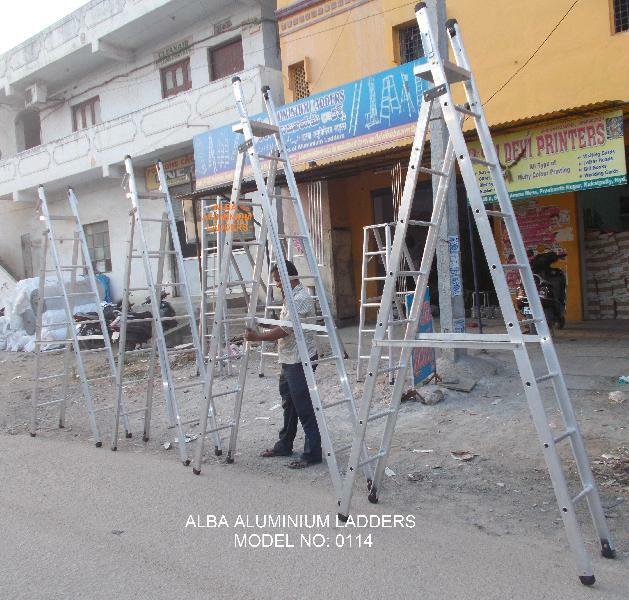 The ALBA ALUMINIUM LADDERS dual purpose ladder is an excellent product. It has a height of upto 8 feet when it is in closed "A" shape and a height of upto 15ft when it is opened and has a straight shape. The dual purpose ladders are great for reaching long heights which the normal ladders cannot reach yet they can be transported and kept easily as they can be folded when not in use unlike DOUBLE PURPOSE LADDERs.